Installers of uPVC guttering, fascias, soffits and other roofline products for homeowners in Sussex and Kent. Replacing your old roofline can make all the difference to the appearance of your home. If your house was built with wooden fascias they’ll need regular maintenance or else it could lead to rotting which could affect the structure of your roof and home. 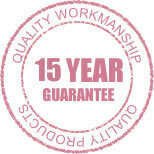 Replacing the material like for like is expensive and it would still need to be maintained to keep it looking its best. A Touch of Glass installs uPVC guttering, fascias and soffits – that are very low maintenance so you can improve the look and value of your home without having to spend time maintaining it. 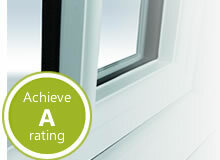 We offer white uPVC roofline products with a high gloss finish, providing an attractive look for your home. We also offer colours to imitate real timber if you want to closely match the replacement to the original. There’s nothing that beats the classic charm of real wooden windows, is there?